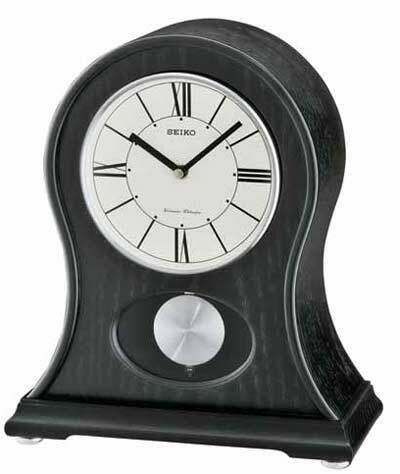 With a case crafted of maple veneers and engineered wood solids, this clock features a glass crystal and metal pendulum. Westminster/Whittington chimes play on the quarter-hour and hourly strikes. Volume control may turn volume completely off or raised as you need. Nighttime chime silencer complete the design. Size: 12 1/4 in. x 8 1/2 in. x 4 1/4 in.